Speaker of the National Assembly Patrick Matibini has suspended Lusaka Province Minister Bowman Lusambo from the House for 30 days for slapping Chishimba Kambwili. And Dr Matibini was more lenient towards Lands Minister Jean Kapata, slapping her with a seven-day suspension for pouring water on the Roan PF Member of Parliament, but the House, after an electronic voting, resolved otherwise. Rendering an extensive ruling in the matter, Speaker Dr Matibini explained that the committee on privileges, absences and support services applied due diligence in the matter. “In line with parliamentary practice and procedure and in accordance with the rules of natural justice, the Office of the Clerk of the National Assembly wrote to Honourable Minister of Lands and Natural Resources Honourable Jean Kapata, MP, and then Minister for Copperbelt Honourable Lusambo, MP, requesting them to state their side of the story. Furthermore, the Office of the Clerk wrote to the witnesses mentioned in the point of order. In addition, the Office of the Clerk received reports from the parliamentary security officers who were present at the time the alleged incident occurred. Furthermore, all the people mentioned in the report of the security officers and responses by witnesses were written to and requested to give an account of what transpired on the material date. The parties concerned as well as the witnesses who appeared before the Committee to speak to their written submissions,” Speaker Dr Matibini said, while Lusambo and Kapata stood behind the bar with the Sergeant at Arms standing behind the duo. 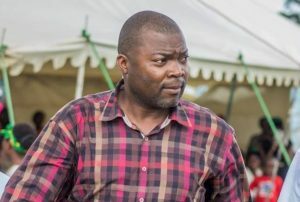 He added that after considering the testimony of the various witnesses and the respondent, Lusambo, the Committee found that Lusambo did infact slap Kambwili as alleged. “The Committee also observed that during its deliberations, Honourable Lusambo, MP, behaved with utmost disrespect to the complainant as well as to the Committee and showed no remorse for his actions. The Committee arrived, as a conclusion, that Honourable Lusambo, MP, conduct was unparliamentary and not befitting of an honourable member and [a] minister and was in breach of section 19c and section 23a of the National Assembly powers and privileges Act. 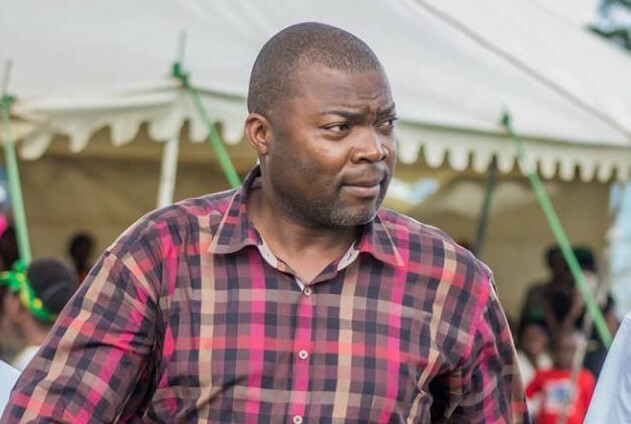 On the basis of the authority cited and having regard to the precedent set in the case of Mrs Mumbi Phiri, MP, and Mrs Elizabeth Chitika, MP, the Committee resolved the Honourable Lusambo, MP, be suspended from service of the House for the maximum period of 30 days,” he ruled. Speaker Dr Matibini then, in accordance with section 22282 of the National Assembly, powers and privileges Act, which requires the resolution of the House to suspend a member from the House, put the question on whether or not Lusambo could be suspended. “The question is that the House accordingly suspends Honourable Lusambo for a period of 30 days with effect from today, 20th March, 2018,” Speaker Dr Matibini indicated and the House resolved accordingly. Lusambo, as ordered by Speaker Dr Matibini, took the “walk of shame through the main entrance door of the Assembly Chamber” at 14:54 hours and left Kapata standing. “…The Committee in this regard resolved to close the matter and counsel the parties,” Speaker Dr Matibini said but was quick to indicate that he had not been persuaded to uphold the Committee’s recommendation. But when he read the question on whether or not the House could accordingly suspend Kapata for seven days with effect from yesterday, a division was called, triggering an electronic vote. In October last year, the former Information minister alleged that Lusambo had followed him outside the House and slapped him before Kapata showed up moments later and poured a bottle of water on him. Meanwhile, Lusambo, who was Copperbelt Minister at the time of the incident, says he has accepted his suspension but does not regret slapping Kambwili. “With respect to my suspension from Parliament announced by the Honourable Mr Speaker, i wish to state that I have accepted the decision of the members,” Lusambo stated. “However, I wish to state that I have no regrets over my actions as they were driven by strong principles to defend the Republican Constitution and the Republican President. “I also believe that there is nothing to reflect upon following my suspension because it is far better to die for a principle than to allow disgruntled, desperate and visionless politicians abuse the President through unsubstantiated allegations. “As a Member of Parliament and Minister, I swore to protect the Constitution and took an oath and pledged my total loyalty to His Excellency President Edgar Chagwa Lungu and I will continue to do so inside or outside the House.